Over the past few months the technology world has been in a total shake up when a new vulnerability in Wi-Fi encryption was discovered. 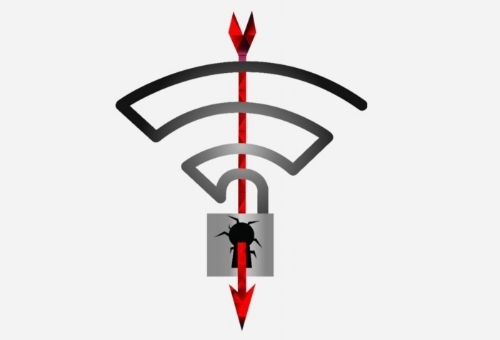 Basically, a serious weakness was revealed in the WPA2 (Wi-Fi Protected Access II - a security protocol that is supposed to secure all modern protected Wi-Fi networks) that can give an attacker access into a ‘secure’ Wi-Fi network using key reinstallation attacks (KRACKS) and allow them steal and/or manipulate sensitive data i.e. passwords, emails, photos, banking information etc. This weakness is built into Wi-Fi itself, and is not a result of an individual product or implementation. Therefore, even correctly implemented WPA2 can be affected. So what does this mean? If you have a device, any device, which supports Wi-Fi it can be hacked! When you think about the fact that every device we use is – or will very soon be - connected to the Internet in some way, you can start to see the severity of a weakness such as this! While it’s a relief to know that these companies are so on-top of things, and working to continually combat technology issues, it’s a very sobering thought that we are constantly exposing ourselves – our very identities – to the world in ways that may not always be safe and secure, without us even knowing. So what can we do about it? To begin with, find a Patch for your devices and install it ASAP! Unfortunately not much – other than to be more mindful of what technology devices you use and how you use them. This KRACK ATTACK is most likely the first of many more vulnerabilities to be exposed as more people intersect their lives with their technology. So as technology becomes more and more prevalent in our lives, we have to become more and more savvy about what we are using and how!